"Prescriptive" redirects here. For other uses, see Prescription (disambiguation). Prescriptive approaches to language are often contrasted with the descriptive approach ("descriptivism"), employed in academic linguistics, which observes and records how language is actually used. The basis of linguistic research is text (corpus) analysis and field study, both of which are descriptive activities. Description, however, may include researchers' observations of their own language usage. In the Eastern European linguistic tradition, the discipline dealing with standard language cultivation and prescription is known as "language culture" or "speech culture". Despite being apparent opposites, prescription and description are often considered complementary, as comprehensive descriptive accounts must take into account and record existing speaker preferences, and a prior understanding of how language is actually used is necessary for prescription to be effective. Since the mid-20th century some dictionaries and style guides, which are prescriptive works by nature, have increasingly integrated descriptive material and approaches. Examples of guides updated to add more descriptive and evidence-based material include Webster's Third New International Dictionary (1961) and the third edition Garner's Modern English Usage (2009) in English, or the Nouveau Petit Robert (1993) in French. A partially descriptive approach can be especially useful when approaching topics of ongoing conflict between authorities, or in different dialects, disciplines, styles, or registers. Other guides, such as The Chicago Manual of Style, are designed to impose a single style and thus remain primarily prescriptive (as of 2017[update]). Some authors define "prescriptivism" as the concept where a certain language variety is promoted as linguistically superior to others, thus recognizing the standard language ideology as a constitutive element of prescriptivism or even identifying prescriptivism with this system of views. Others, however, use this term in relation to any attempts to recommend or mandate a particular way of language usage (in a specific context or register), without, however, implying that these practices must involve propagating the standard language ideology. According to another understanding, the prescriptive attitude is an approach to norm-formulating and codification that involves imposing arbitrary rulings upon a speech community, as opposed to more liberal approaches that draw heavily from descriptive surveys; in a wider sense, however, the latter also constitute a form of prescriptivism. Mate Kapović makes a distinction between "prescription" and "prescriptivism", defining the former as "process of codification of a certain variety of language for some sort of official use", and the latter as "an unscientific tendency to mystify linguistic prescription". Linguistic prescription is categorized as the final stage in a language standardization process. It is culture dependent and politically motivated. It can be called social progress and included in the cultivation of a culture. As culture is seen to be a major force in the development of standard language, multilingual countries often promote standardization and advocate adherence to prescriptive norms. The chief aim of linguistic prescription is to specify socially preferred language forms (either generally, as in Standard English, or in style and register) in a way that is easily taught and learned. Prescription may apply to most aspects of language, including spelling, pronunciation, vocabulary, syntax, and semantics. Prescription is useful for facilitating inter-regional communication, allowing speakers of divergent dialects to understand a standardized idiom used in broadcasting, for example, more readily than each other's dialects. While such a lingua franca may evolve by itself, the desire to formally codify and promote it is widespread in most parts of the world. Writers or communicators often adhere to prescriptive rules to make their communication clearer and more widely understood. Similarly, stability of a language over time helps one to understand writings from the past. Foreign language instruction is also considered a form of prescription, since it involves instructing learners how to speak, based on usage documentation laid down by others. Linguistic prescription may also be used to advance a social or political ideology. During the second half of the 20th century, efforts driven by various advocacy groups had considerable influence on language use under the broad banner of "political correctness", to promote special rules for anti-sexist, anti-racist, or generically anti-discriminatory language (e.g. "people-first language" as advocated by disability rights organizations). George Orwell criticized the use of euphemisms and convoluted phrasing as a means of hiding insincerity in Politics and the English Language (1946). His fictional "Newspeak" (in 1984, written around the year 1949) is a parody of ideologically motivated linguistic prescriptivism. Prescription presupposes authorities whose judgments may come to be followed by many other speakers and writers. For English, these authorities tend to be books. H. W. Fowler's Modern English Usage was widely taken as an authority for British English for much of the 20th century; Strunk and White's The Elements of Style has done similarly for American English. The Duden grammar (first edition 1880) has a similar status for German. Although lexicographers often see their work as purely descriptive, dictionaries are widely regarded as prescriptive authorities. Books such as Lynne Truss's Eats, Shoots & Leaves (2003), which argues for stricter adherence to prescriptive punctuation rules, also seek to exert an influence. Linguistic prescription is imposed by regulation in some places. The Académie française in Paris is the national body in France whose recommendations about the French language are widely respected in the French-speaking world, though not legally enforceable. In Germany and the Netherlands, recent spelling and punctuation reforms, such as the German orthographic reform of 1996, were devised by teams of linguists commissioned by the respective governments and then implemented by statutes. Some met with widespread dissent. Afrikaans: The Taalkommissie (Language Commission) is responsible for the compilation of the Afrikaanse Woordelys en Spelreëls (Afrikaans Word-list and Spelling Rules), an orthography of formal, standardized Afrikaans. Albanian: The Social Sciences and Albanological Section of the Academy of Sciences of Albania for the Tosk variety of the Albanian standard language. Dutch: In the Netherlands and the Flanders region of Belgium, standardized spelling norms are compulsory for government publications and in education (see Wordlist of the Dutch language). The Flemish press and other media also adhere to these rules. In the Netherlands, however, the media apply a slightly adapted spelling, as outlined in the White Booklet. French: The recommendations of the Académie française, a national body, are legally unenforceable, but they are respected for maintaining standard French. French: The Office québécois de la langue française in the Canadian province of Québec, where French is perceived to be particularly threatened by the incursion of English. German: The German orthography reform of 1996 established statutory national normative spelling usages for each of the German-speaking countries (Germany, Austria, Liechtenstein, and Switzerland). It has, however, been widely ignored by many people; in particular, it became so controversial in the federal state of Schleswig-Holstein that in a plebiscite held there in 1998 56.4% of voters opposed its implementation. Nevertheless, the Schleswig-Holstein parliament reversed the referendum result in 1999. Many major German newspapers chose to implement the reforms only partially (e.g. Axel Springer AG, Der Spiegel) or to reject it entirely, ending a period when unified German spelling (German: Rechtschreibung, literally "right" [=correct] "writing"), although officially only mandatory in government and educational use, was the national de facto standard. Italian: The Accademia della Crusca, the Italian language academic body. Polish: The Polish Language Council for standard Polish, which aims to popularize Polish language knowledge, issue prescriptions for standard usage (Polish: poprawna polszczyzna, lit. "correct Polish") and formulate normative orthography. The Polish language policy recognizes two normative subvarieties of standard Polish: the "model/official norm" (Polish: norma wzorcowa) and the "colloquial/vernacular norm" (Polish: norma użytkowa), with the former being a highly traditionalistic idiom for written language and public usage, and the latter being a more liberal idiom for private contexts that is more permissive for loanwords and deviations from "traditional" usage. According to the Polish language ideology, the latter is also considered to include regional usages as long as they are present in the speech of educated people. Romanian: The Romanian Academy for standard Romanian, whose resolutions and recommendations are acknowledged by the Romanian state and other entities where Romanian is officially recognised (e.g. the European Union and Vojvodina). In the Republic of Moldova, the only country besides Romania where Romanian is the state language, it is officially called "Moldovan" and is regulated by the Institute of Linguistics of Academy of Sciences of Moldova. Russian: The Union of Soviet Writers policed the Russian language with linguistic prescription to establish a standardized Russian language during the era of the Soviet Union. Spanish: The Real Academia Española in affiliation with the Association of Spanish Language Academies for standard Spanish in 21 countries. Other kinds of authorities exist in specific settings, most commonly in the form of style manuals (also called style guides, manuals of style, style books, or style sheets). Style guides vary in form, and may be alphabetical usage dictionaries, comprehensive manuals divided into numerous subsection by facet of language, or very compact works insistent upon only a few matters of particular importance to the publisher. Some aim to be comprehensive only for a specific field, deferring to more general-audience guides on matters that are not particular to the discipline in question. There are different types of style guides, by purpose and audience. Because the genres of writing and the audiences of each manual are different, style manuals often conflict with each other, even within the same dialect of English. Many publishers have established an internal house style specifying preferred spellings and grammatical forms, such as serial commas, how to write acronyms, and various awkward expressions to avoid. Most of these are internal documentation for the publisher's staff, though various newspapers, universities, and other organizations have made theirs available for public inspection, and sometimes even sell them as books, e.g. The New York Times Manual of Style and Usage and The Economist Style Guide. In a few cases, an entire publishing sector complies with a publication that originated as a house style manual, such as The Chicago Manual of Style and New Hart's Rules in non-fiction book publishing in the United States and the United Kingdom, respectively, and The Associated Press Stylebook in American news style. Others are by self-appointed advocates whose rules are propagated in the popular press, as in "proper Cantonese pronunciation". The aforementioned Fowler, and Strunk & White, were among the self-appointed, as are some modern authors of style works, like Bryan A. Garner and his Modern English Usage (formerly Modern American Usage). Various style guides are used for academic papers and professional journals, and have become de facto standards in particular fields, though the bulk of their material pertains to formatting of source citations (in mutually conflicting ways). Some examples are those issued by the American Medical Association, the Modern Language Association, and the Modern Humanities Research Association; there are many others. Scientific Style and Format, by the Council of Science Editors, seeks to normalize style in scientific journal publishing, based where possible on standards issued by bodies like the International Standards Organization. None of these works have any sort of legal or regulatory authority (though some governments produce their own house style books for internal use). They still have authority in the sense that a student may be marked down for failure to follow a specified style manual; a professional publisher may enforce compliance; and a publication may require its employees to use house style as a matter of on-the-job competence. A well-respected style guide, and usually one intended for a general audience, may also have the kind of authority that a dictionary does, consulted as a reference work to satisfy personal curiosity or settle an argument. Historically, linguistic prescriptivism originates in a standard language when a society establishes social stratification and a socio-economic hierarchy. The spoken and written language usages of the authorities (state, military, church) are preserved as the standard language. Departures from this standard language may jeopardise social success (see social class). Sometimes, archaisms and honorific stylizations may be deliberately introduced or preserved to distinguish the prestige form of the language from contemporary colloquial language. Likewise, the style of language used in ritual also differs from everyday speech. Special ceremonial languages known only to a select few spiritual leaders are found throughout the world; Liturgical Latin has served a similar function for centuries. When a culture develops a writing system, orthographic rules for the consistent transcription of culturally important works (laws, scriptures, contracts, poetry, etc.) allow a large number of speakers to understand written communications easily, and across multiple generations. Early historical trends in literacy and alphabetization were closely tied to the influence of various religious institutions. Western Christianity propagated the Latin alphabet. Eastern Orthodoxy spread the Greek and Cyrillic alphabets. Judaism used the Hebrew alphabet, and Islam the Arabic alphabet. Hinduism used the Devanagari script. In certain traditions, strict adherence to prescribed spellings and pronunciations was and remains of great spiritual importance. Islamic naming conventions and greetings are notable examples of linguistic prescription being prerequisite to spiritual righteousness. 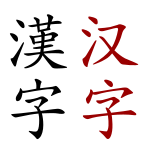 Another commonly cited example of prescriptive language usage closely associated with social propriety is the system of honorific speech in Japanese. Most, if not all, widely spoken languages demonstrate some degree of social codification in how they conform to prescriptive rules. Linguistic prestige is a central research topic within sociolinguistics. Notions of linguistic prestige apply to different dialects of the same language and also to separate, distinct languages in multilingual regions. Prestige level disparity often leads to diglossia: speakers in certain social contexts consciously choose a prestige language or dialect over a less prestigious one, even if it is their native tongue. Government bureaucracy tends toward prescriptivism as a means of enforcing functional continuity. Such prescriptivism dates from ancient Egypt, where bureaucrats preserved the spelling of the Middle Kingdom of Egypt into the Ptolemaic period through the standard usage of Egyptian hieroglyphics. From the earliest attempts at prescription in classical times grammarians have based their norms on observed prestige use of language. Modern prescriptivist textbooks[which?] draw heavily on descriptive linguistic analysis. Prescription may privilege some existing forms over others for the sake of maximizing clarity and precision in language use. Others are subjective judgments of what constitutes good taste. Some reflect the promotion of one class or region within a language community over another, which can become politically controversial. Prescription can also reflect ethical considerations, as in prohibiting swear words. Words referring to elements of sexuality or toilet hygiene may be regarded as obscene. Blasphemies against religion may be forbidden. In recent decades "political correctness" has had a profound censorious effect. Some elements of prescription in English are sometimes thought[by whom?] to have been based on the norms of Latin grammar. Robert Lowth is frequently cited as having done so[clarification needed], but he specifically objected to "forcing the English under the rules of a foreign Language". It is true that analogies with Latin were sometimes used to buttress arguments, but only in defending an accepted prestige form of English. Although the standardization of language has an established place in such fields as broadcasting, computer programming, and international commerce, prescriptivism is often subject to criticism. Many linguists, such as Geoffrey Pullum and other posters to Language Log, are highly skeptical of the quality of advice given in many usage guides, including highly regarded books like Strunk and White's Elements of Style. In particular, linguists point out that popular books on English usage written by journalists or novelists (e.g. Simon Heffer's Strictly English: The Correct Way to Write ... and Why It Matters) often make basic errors in linguistic analysis. A frequent criticism is that prescription has a tendency to favour the language of one particular region or social class over others, and thus militates against linguistic diversity. Frequently, a standard dialect is associated with the upper class, for example Great Britain's Received Pronunciation (RP). RP has now lost much of its status as the Anglophone standard, and other standards are now alternative systems for English as a foreign language. Although these have a more democratic base, they still exclude large parts of the English-speaking world: speakers of Scottish English, Hiberno-English, Australian English, or African-American English may feel the standard is slanted against them. Thus prescription has political consequences. In the past, prescription was used consciously as a political tool. A second issue with prescriptivism is that it tends to explicitly devalue non-standard dialects. It has been argued that prescription, apart from formulating standard language norms, often attempts to influence speakers to apply the proposed linguistic devices invariably, without considering the existence of different varieties and registers of language. While some linguists recognize the practical role of language standardization in modern nation states, certain models of prescriptive codification have been criticized for going far beyond mere norm-setting, i.e. by promoting the sanctioned language variety as the only legitimate means of communication and presenting it as the only valid baseline of correctness, coupled with stigmatizing non-standard usages as "mistakes". Such practices have been said to contribute to perpetuating the belief that non-codified forms of language are innately inferior, creating social stigma and discrimination toward their speakers. Modern linguists would however generally hold that all forms of language, including both vernacular dialects and different realizations of a standardized variety, are scientifically equal as instruments of communication, even if deemed socially inappropriate for certain situations. Resulting in standard language ideology, normative practices might also give rise to the conviction that explicit formal instruction is an essential prerequisite for acquiring proper command of one's native language. Propagating such language attitudes is characteristic of the prescriptivists in Eastern Europe, where normativist ideas of correctness can be found even among professional linguists. Another serious issue with prescription is that prescriptive rules quickly become entrenched and it is difficult to change them when the language changes. Thus, there is a tendency for prescription to lag behind the colloquial language. In 1834, an anonymous writer advised against the split infinitive, reasoning that the construction was not a frequent feature of English as he knew it. Today the construction is in everyday use and generally considered standard usage, yet the old prohibition can still be heard. A further problem is the difficulty of specifying legitimate criteria. Although prescribing authorities may have clear ideas about why they make a particular choice, and their choices are seldom entirely arbitrary, there exists no linguistically sustainable metric for ascertaining which forms of language should be considered standard or otherwise preferable. Judgments that seek to resolve ambiguity or increase the ability of the language to make subtle distinctions are easier to defend. Judgments based on the subjective associations of a word are more problematic. Finally, there is the problem of inappropriate dogmatism. Although competent authorities tend to make careful statements, popular pronouncements on language are apt to condemn. Thus, wise prescriptive advice identifying a form as colloquial or non-standard and suggesting that it be used with caution in some contexts may – when taken up in the classroom – become converted into a ruling that the dispreferred form is automatically unacceptable in all circumstances, a view academic linguists reject. (Linguists may accept that a construction is ungrammatical or incorrect in relation to a certain lect if it does not conform to its inherent rules, but they would not consider it absolutely wrong simply because it diverges from the norms of a prestige variety.) 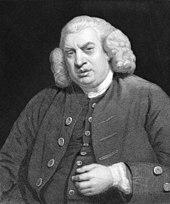 A classic example from 18th-century England is Robert Lowth's tentative suggestion that preposition stranding in relative clauses sounds colloquial. This grew into a grammatical rule that a sentence should never end with a preposition. Such dogmatism has often caused resentment. When we see men grow old and die at a certain time one after another, from century to century, we laugh at the elixir that promises to prolong life to a thousand years; and with equal justice may the lexicographer be derided, who being able to produce no example of a nation that has preserved their words and phrases from mutability, shall imagine that his dictionary can embalm his language, and secure it from corruption and decay, that it is in his power to change sublunary nature, and clear the world at once from folly, vanity, and affectation. With this hope, however, academies have been instituted, to guard the avenues of their languages, to retain fugitives, and repulse intruders; but their vigilance and activity have hitherto been vain; sounds are too volatile and subtile for legal restraints; to enchain syllables, and to lash the wind, are equally the undertakings of pride, unwilling to measure its desires by its strength. The French language has visibly changed under the inspection of the academy; the stile of Amelot's translation of Father Paul is observed, by Le Courayer to be un peu passé; and no Italian will maintain that the diction of any modern writer is not perceptibly different from that of Boccace, Machiavel, or Caro. ^ Crystal, David (2008). A Dictionary of Linguistics and Phonetics (6th ed.). Blackwell. p. 384. ISBN 978-1-4051-5296-9. ^ Matthews, Peter Hugoe (2007). The Concise Oxford Dictionary of Linguistics. p. 316. ISBN 978-0-19-920272-0. ^ Olivia Walsh (2016). Linguistic Purism: Language Attitudes in France and Quebec. John Benjamins Publishing Company. pp. 8–9. ISBN 978-90-272-6673-6. ^ Jeffrey Reaser; Carolyn Temple Adger; Walt Wolfram; Donna Christian (2017). Dialects at School: Educating Linguistically Diverse Students. Taylor & Francis. p. 117. ISBN 1-317-67898-2. ^ a b McArthur (1992), p. 286 entry for "Descriptivism and prescriptivism" quotation: "Contrasting terms in linguistics." ^ Moch. Syarif Hidayatullah (2017). Cakrawala Linguistik Arab (Edisi Revisi) (in Indonesian). Gramedia Widiasarana Indonesia. p. 5–6, 18. ISBN 978-602-452-369-5. ^ a b Andrzej Markowski. "Językoznawstwo normatywne dziś i jutro: stan, zadania, szanse, zagrożenia". Konferencje i dyskusje naukowe (in Polish). Polish Language Council. Retrieved 2019-02-22. ^ "Speech Culture". The Great Soviet Encyclopedia (3 ed.). 1970–1979. ^ Annabelle Mooney; Betsy Evans (2018). Language, Society and Power: An Introduction. Routledge. ISBN 978-0-429-82339-8. ^ a b c Mate Kapović (2013). "Jezik i konzervativizam". In Tvrtko Vuković; Maša Kolanović (eds.). Komparativni postsocijalizam: slavenska iskustva (in Serbo-Croatian). Zagrebačka slavistička škola. pp. 391–400. Retrieved 9 November 2018. ^ Michael D. Kliffer. "Quality of language": The changing face of Quebec prescriptivism (PDF). McMaster University. p. 1. ^ John McIntyre (1 September 2011). "Prescription for prescriptivists". Baltimore Sun. Retrieved 6 November 2018. ^ Beata Jezierska (2016). Frazeologizmy w polskich przekładach współczesnej prozy francuskiej (na wybranych przykładach) (in Polish). Poznań: Wydział Filologii Polskiej i Klasycznej: Instytut Filologii Polskiej. pp. 97–99. ^ Mate Kapović (2014). "Language and conservatism". Ideology in Grammar (PDF). ^ Carol Percy; Ingrid Tieken-Boon van Ostade (2016). Prescription and Traditino: Establishing Standards across Time and Space. Multilingual Matters. Multilingual Matters. p. 3. ISBN 978-1-78309-652-7. ^ Jeanette Sakel (2015). Study Skills for Linguistics. Understanding Language. Routledge. p. 34. ISBN 978-1-317-53009-1. ^ Polish Language Council. "Podstawowe informacje o Radzie" (in Polish). Retrieved 2019-01-27. ^ Władysław Chłopicki (2005). "Polish Under Siege?". In Gunilla Anderman; Margaret Rogers (eds.). In and Out of English: For Better, for Worse?. Translating Europe. Multilingual Matters. p. 110. ISBN 978-1-85359-787-9. ^ Joanna Dąbrowska; Agata Hącia (2012). "Ocena poprawności językowej prac egzaminacyjnych uczniów III klasy gimnazjum: wewnętrznojęzykowe przyczyny trudności w ocenie, wyniki zastosowania skali egzaminacyjnej, zalecenia dla systemu egzaminacyjnego" (PDF). Edukacja (in Polish) (2 (118)): 96–97. ISSN 0239-6858. ^ Halina Karaś. "Regionalizm". Dialektologia polska (in Polish). Retrieved 2019-01-27. ^ See, generally, Marianne Mithun, The Languages of Native North America (Cambridge University Press, 1999; ISBN 0-521-23228-7) for North American examples of ritual speech. ^ McArthur (1992), p. 794. ^ A Short Introduction to English Grammar, p. 107, condemning Richard Bentley's "corrections" of some of Milton's constructions. ^ a b John Lyons (1968). Introduction to Theoretical Linguistics. Cambridge University Press. pp. 42–44. ISBN 978-0-521-29775-2. ^ Asif Agha (2007). Language and Social Relations. Cambridge University Press. pp. 146–147. ^ Book Review Digest. 83. H.W. Wilson Company. 1987. p. 1291. ^ Vershawn Ashanti Young; Rusty Barrett; Y'Shanda Young-Rivera; Kim Brian Lovejoy (2013). Other People's English: Code-Meshing, Code-Switching, and African American Literacy. Teachers College Press. p. 20. ISBN 0-8077-5502-8. ^ Susan Tamasi; Lamont Antieau (2014). Language and Linguistic Diversity in the US: An Introduction. Routledge. ISBN 1-136-57904-4. ^ a b Loreta Vaicekauskienė (2012). "'Good Language' and Insecure Speakers". Multiple Perspectives in Linguistic Research on Baltic Languages (PDF). Cambridge Scholars Publishing. pp. 78–80. ^ Miklós Kontra (2000). "Language contact in East-Central Europe". Multilingua. Mouton Publishers. 19: 193. ^ Jack Lynch (2009). The Lexicographer's Dilemma: The Evolution of 'Proper' English, from Shakespeare to South Park. Bloomsbury Publishing. ISBN 0-8027-1963-5. ^ Mate Kapović (2011). "Language, Ideology and Politics in Croatia" (PDF). Slavia centralis. IV/2: 46–48. ^ Mate Kapović (2010). Čiji je jezik (PDF) (in Serbo-Croatian) (1 ed.). Zagreb: Algoritam. pp. 37–54. ISBN 978-953-316-282-9. ^ People who annoyingly correct the pronunciation or grammar of others are colloquially called "grammar Nazis". Bullokar, William (2014). How to Be a Grammar Nazi for Geniuses. Westlake Gavin Publishers. ISBN 978-1-63231-997-5. Heinz, Michaela (2003). "Les locutions figurées dans le Nouveau Petit Robert: évolution de quelques traitements entre 1993 et 2003". Les dictionnaires Le Robert: Genèse et évolution. doi:10.4000/books.pum.13867. Ideology, Power and Linguistic Theory (pdf format) a paper about descriptivism and prescriptivism by Geoffrey Pullum.